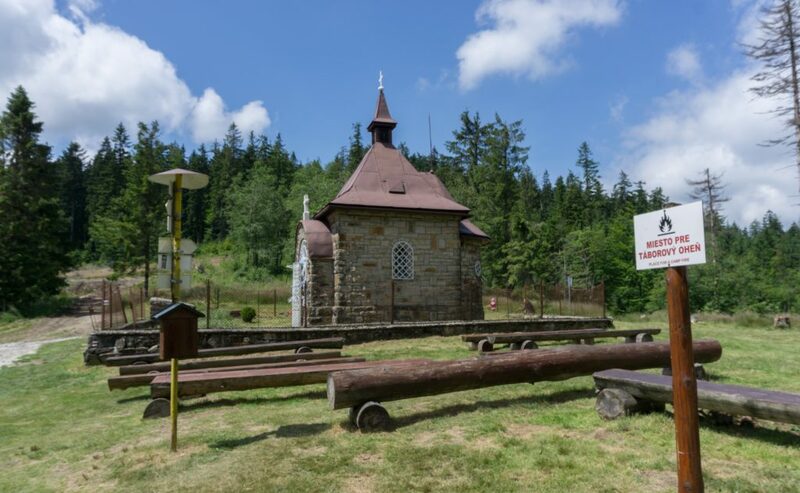 Horní Lomná is a one of the few reminders of a Carpathian village that’s left in Czechia. It’s at the end of a long valley which cuts into the mountains from the north to the south-west. 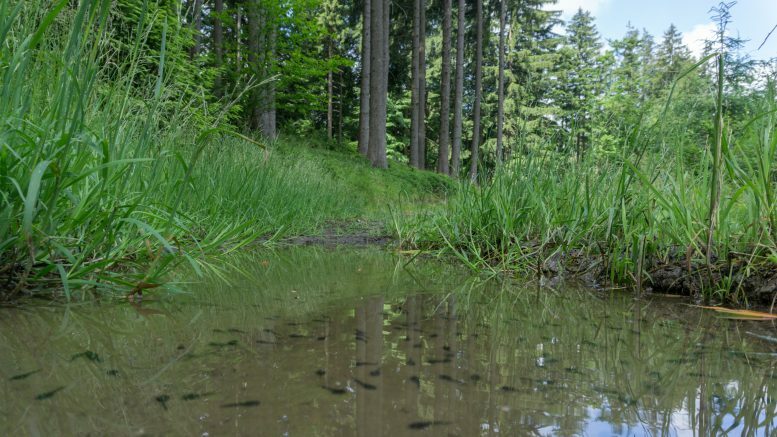 There are a lot of options for hiking but one of the local classics is to circuit the whole valley. 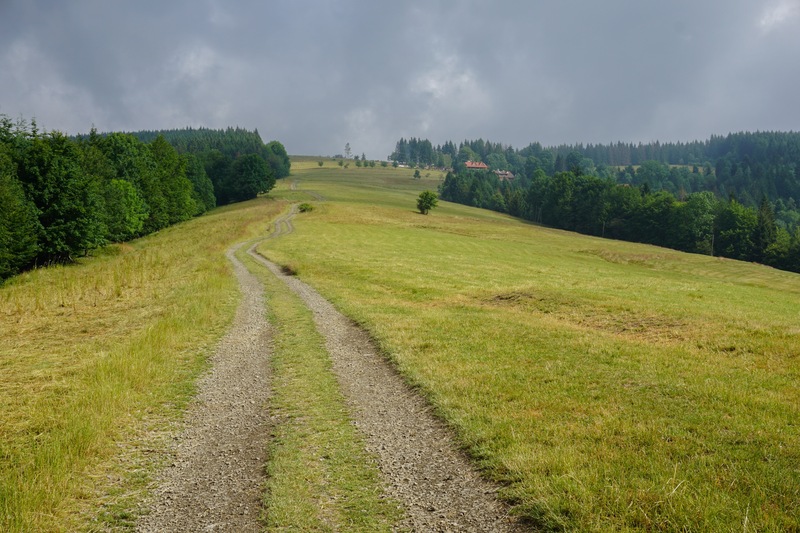 We started at hotel Doubrava from where we hit the blue marked trail and went up towards Kamenitý mountain hut. This part has great vibes, it’s one of those places where I end up thinking: “Yeah, I could live here”. From Kamenitý we continued along the ridge to Malý Polom (1061 m) at the borders with Slovakia. This is typical for this part of the country: it’s never too far either to Slovakia or to Poland. The locals speak a unique dialect called po naszymu and you’ll often hear it spoken in a local shop or a mountain hut. Anna – like a forest fairy! We continued along the ridge southward to Muřínkový vrch. It’s a beautiful place camp with toilets and drinking water. The place is popular among hikers so if you decide to pitch your tent there, avoid weekends, it could get really busy. After a short snack we headed north. 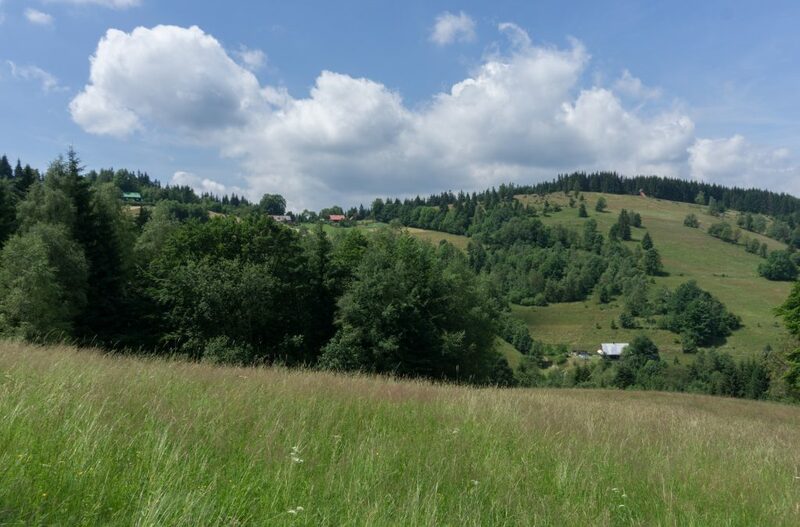 Soon we saw Přelač, a small community which is one of the most forgotten places I know in the Beskids. My distant family members live there and I when I was a kid, we used come up to visit them with flour and sugar in our backpacks. There weren’t any roads back in the day and they were really happy for every pinch we got for them! This time I could see power cords leading across the valley and even a small pub and a chair lift – well, that’s what they call progress I guess. The last hour or so we continued along a local road back to Doubrava hotel. Even if it was along the road, it was nice since you could see a bit of the local architecture. The Beskids are the only mountains in Czechia where the Carpathian spirit is still preserved. It’s a unique place to visit but I must admit that I’m a bit biased since I grew up there! 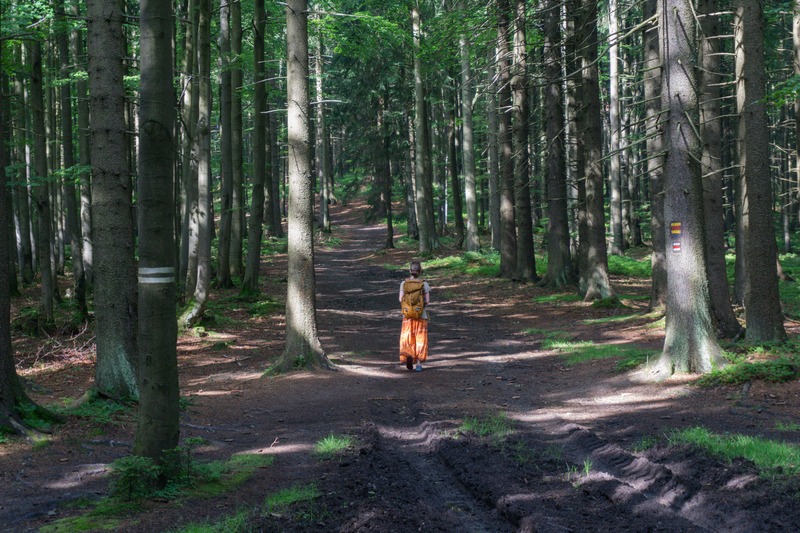 2 Comments on "Into the Czech Carpathians: hike around Horní Lomná"
Like a forest fairy, rigt?